Discover Gauguin's Crafty Side at the Art Institute's "Gauguin: Artist as Alchemist"
Discover Gauguin&apos;s Crafty Side at the Art Institute&apos;s "Gauguin: Artist as Alchemist"
Famed French artist Paul Gauguin is best noted for his brilliant use of color on canvas, but the Art Institute of Chicago&apos;s fascinating exhibit, "Gauguin: Artist as Alchemist", uncovers his radical experiments in wood-carving, ceramics and other applied arts that are more typically associated with artisans and craft makers. 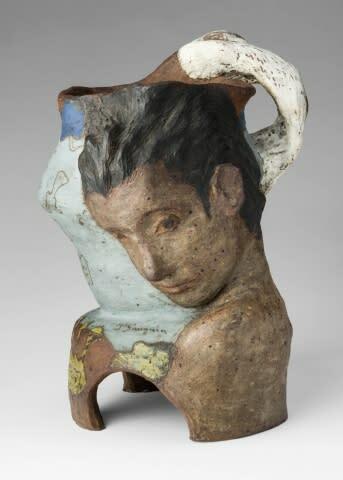 Through rarely seen pieces including furniture, stoneware and fans, visitors will discover Gauguin&apos;s talents beyond his iconic paintings. Less than three weeks are left to see this exhibition, plan your visit today! Gauguin&apos;s famous images of Tahitian women are a major feature of "Artist as Alchemist"—but not in the manner that most visitors would expect. 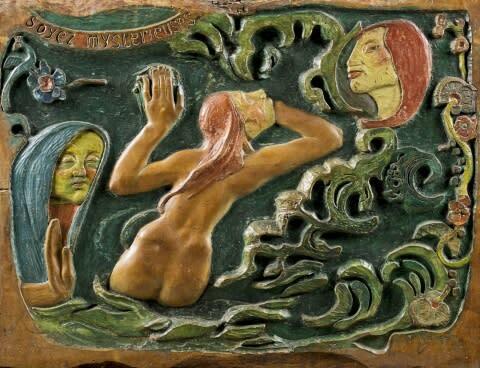 Carvings of vividly painted women lounging and participating in rituals appear on fan handles, vases and furniture that Gauguin created after he returned from Tahiti in the late 1800s. His paintings generally win most of the attention, and there are plenty showcased in this exhibit, but viewers are also treated to Gauguin&apos;s varied, multimedia offerings. Tahiti wasn&apos;t his only geographic inspiration, either. Besides rural France, the artist also visited Martinique and the Marquesa Islands. A large, carved wooden cask and a mahogany bas-relief piece bear the colorful evidence. Don&apos;t miss the carved wooden clogs, or sabots, on display from Gauguin&apos;s travels to Brittany.